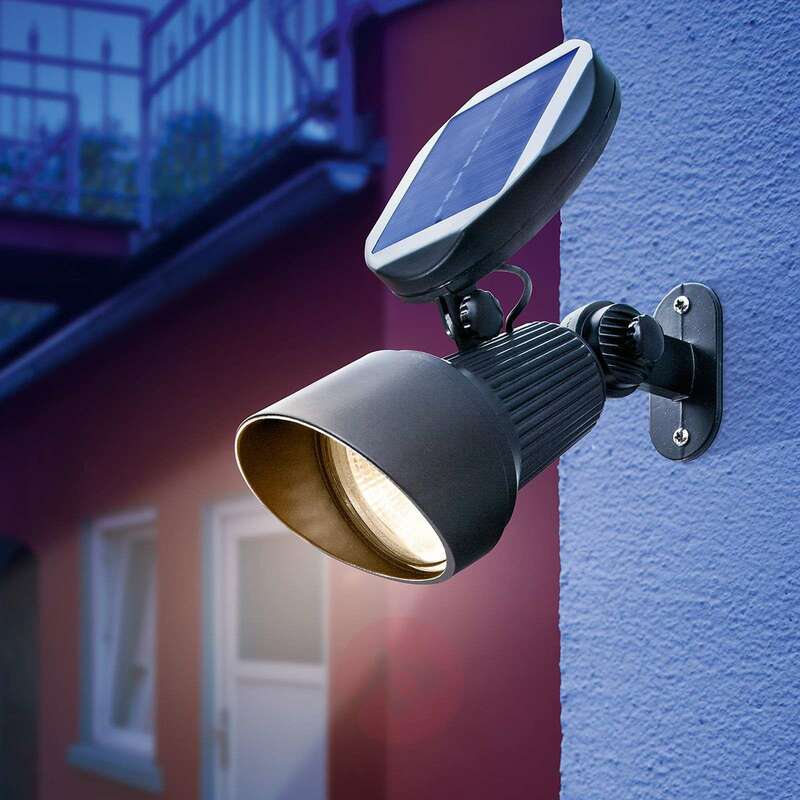 The LED light Spotlight, which is made from robust aluminium, can be used to illuminate outdoor spaces in a very cost-effective and impressive way. 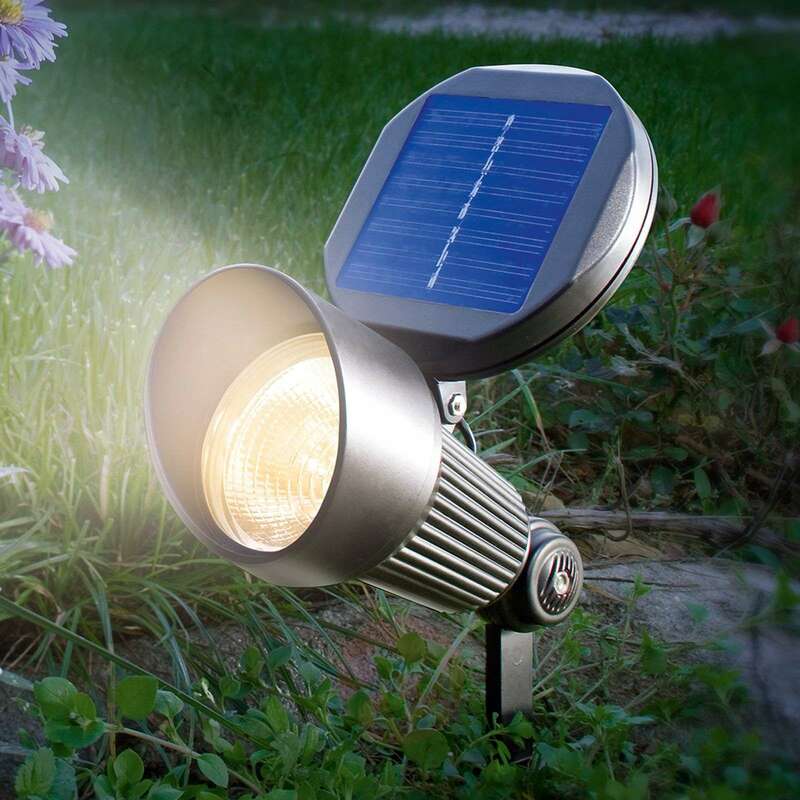 The LED Spotlight emits pleasant warm white lighting and features a solar panel, which in turn charges the battery within the housing. The battery is charged during the day to provide free LED lighting at night. 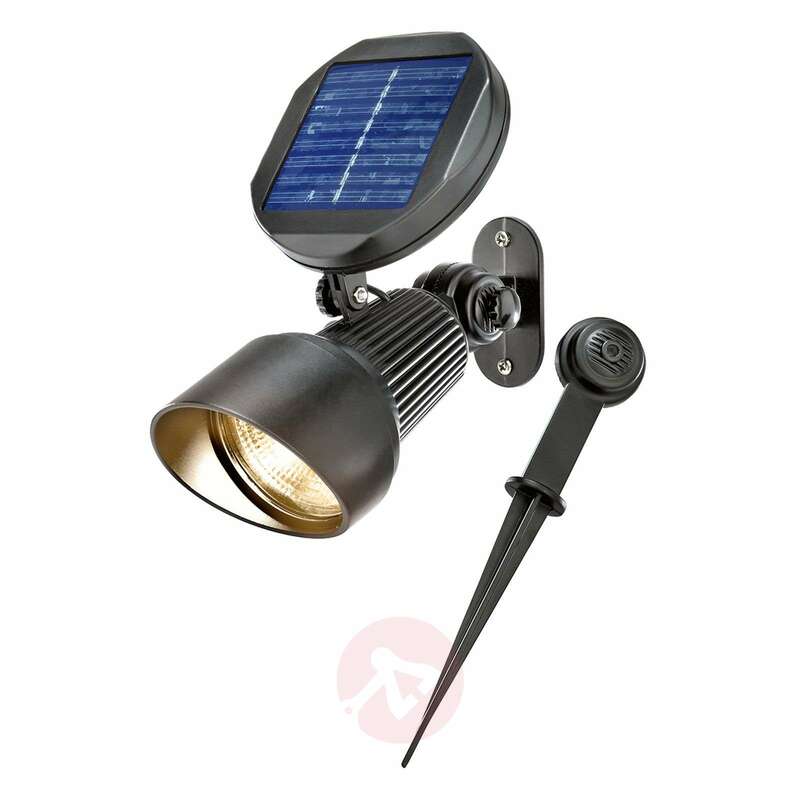 Spotlight comes with a practical ground spike, so it can be staked into the ground as well as placed on the ground or a wall. Thus the spotlight is a universal lighting object. The light switches on automatically as darkness falls, and turns off again as dawn breaks. The light will shine for up to eight hours with a fully charged battery.